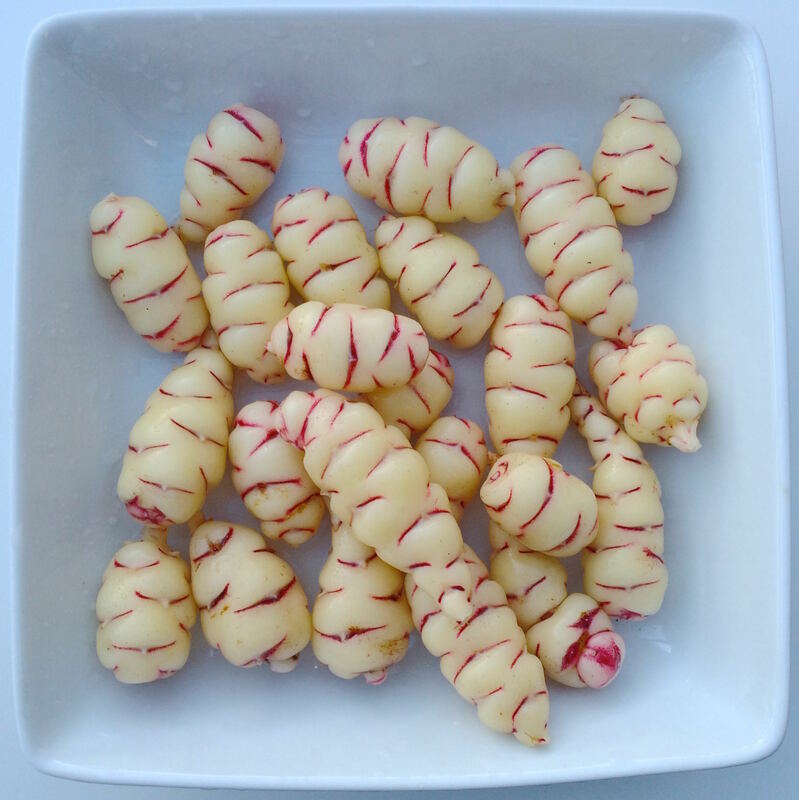 Hyak is a Cultivariable original variety, introduced in 2016, notable for large average tuber size and dense flesh. Hyak’s background includes a breeding line that was grown from true seed of a Bolivian variety that is not in our collection and I originally offered it as a source of unique genetics rather than as a superior variety, but it has become popular due to its attractive appearance. Hyak has dense, firm flesh after cooking and a very slight tartness, just enough so that you would not mistake it for a potato. The raw appearance is very clean and neat with shiny white skin and red eyes. The flesh is also white. The average tuber size is large and the shape is uniform. Hyak plants are moderate in height with a sprawling habit when mature. The tubers are produced on stolons of intermediate length and the tuber count is low, so the tubers are uncrowded and uniform. Tuberization photoperiod is about 12 hours, typical of most heirloom varieties. Average yield is 1.3 pounds. The maximum tuber length is 4.6 inches and the average tuber length is 3.3 inches. Average tuber count is 29. 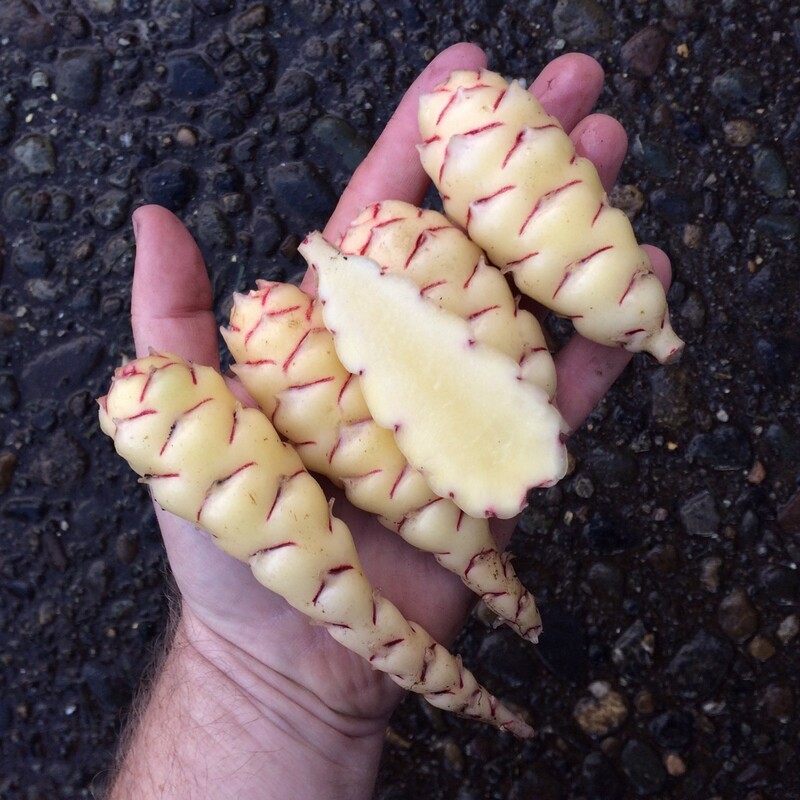 The plants produce a relatively small number of tubers, but most of them are large. Hyak is a moderate flowerer with a mid-styled flower morph.